Reliable Corporation fabricates a wide variety of custom and standard silver anodes for electroplating applications. 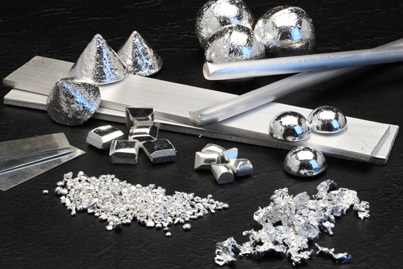 Silver anode form factors include slabs of any specified dimensions, pillows, popcorn, cones, balls, dogbones, gumdrops, and rods. We use high purity fine silver for anode production and raw material selection is controlled in-house to eliminate potential problems introduced by antimony, selenium, and other impurities. Our high purity silver anodes will help you free your silver plating bath of anode polarization, oxidation, and shedding. You will be able to reduce waste and scrap generation and improve efficiencies in your silver plating processes. Our goal is to be your trusted supplier for silver products for your industry applications. We want to be easy to work with from the time you send us your RFQ to the completion of the order and our customer satisfaction follow-up.